I love to make quilts but always stick to the same, safe designs. Recently I’ve begun to experiment and tried my hand at jewel, octagon, triangle and diamonds EPP – baby steps! 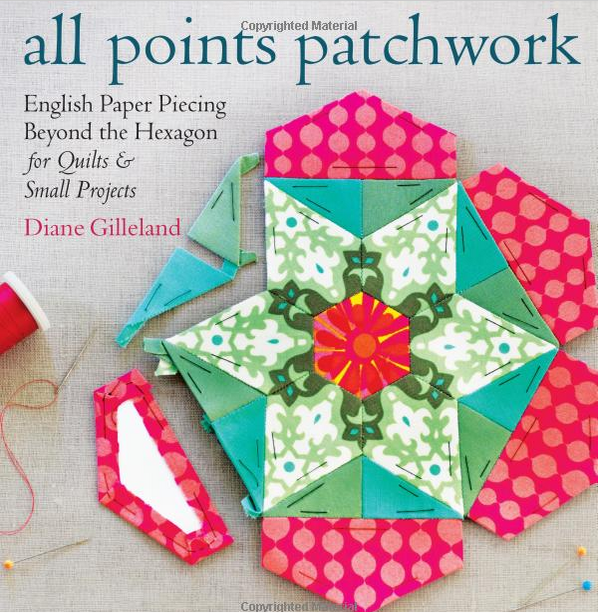 I was interested to hear about All Points Patchwork: English Paper Piecing beyond the Hexagon, for Quilts & Small Projects by Diane Gilleland, published by Storey Publishing. I received a copy to review and read it in one evening. It’s a lovely book and I learned so much from it. I’ve taught myself which is why I’m always happiest following other people’s tutorials and patterns. All Points Patchwork isn’t so much a book of patterns but a brilliant guide to all things patchwork. The book is divided into 8 chapters and covers tools and materials, basic techniques, building your own EPP. The other chapters cover working with Hexagons, Diamonds and Jewels, Triangles and Tumblers, Octagons and Pentagons and Curved Shapes. The book describes itself as follows: The key to perfect patchwork is getting all of the points to match up — which is no easy feat! Thanks to the rediscovery of a traditional technique known as English paper piecing, success is now possible for quilters of all levels. By cutting the desired shapes from paper, basting the paper to the back of your fabric, and then hand-sewing the pieces together, you’ll ensure perfectly matched points every time. 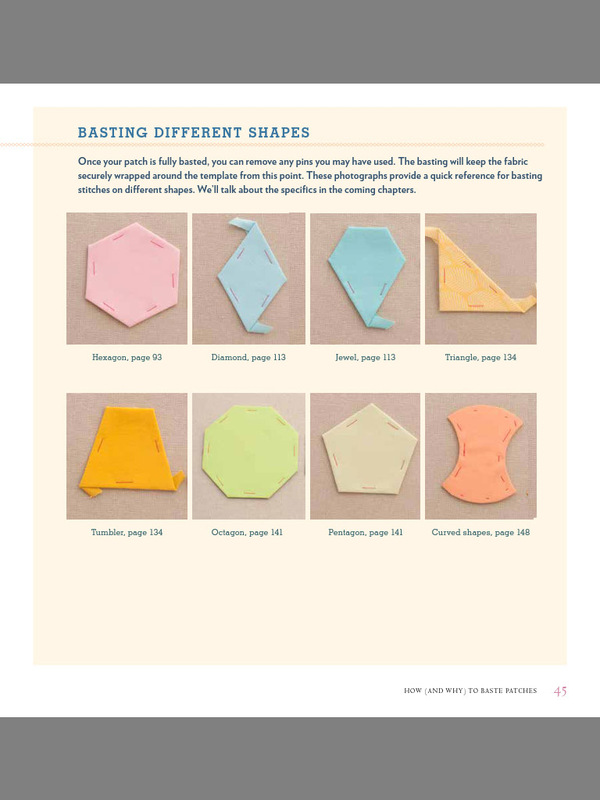 This complete course in English paper piecing takes you far beyond traditional hexagons with step-by-step photos showing you how to connect triangles, octagons, diamonds, jewels, triangles, tumblers, pentagons, and curved shapes. It even provides dozens of ideas for incorporating the pattern designs into clothing, pillows, quilts, and home decor items! You are cleverly taken through lots of techniques with loads of helpful tips and ways to use your new found skills. You won’t find any patterns though as the author wants to equip you with the necessary skills and confidence to make your own designs. I’ve read the whole book once from cover to cover and it’s the kind of book I would keep close to refer to again and again. So far some of my favourite tips include the fact you can buy paper punches for cutting templates (who knew? ), advice on using the grain of your fabric, how to tie a quilter’s knot and how to ease pieces which don’t fit perfectly. I’m excited to try out some new techniques, put into practice some of the things I have read about and design my own quilts. 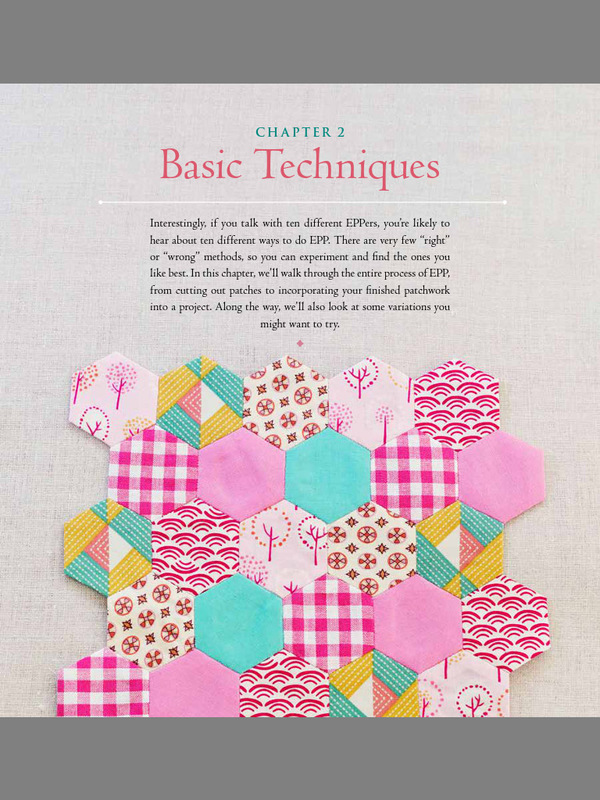 This is a great reference book for people who love EPP and is sure to inspire quilters’ old and new. All Points Patchwork is published by Storey Publishing and available from Amazon and all good bookshops. I love all those different shapes, so much potential! I must try something new as I always stick to the same old shapes.